National parks are popular. Despite our nation’s fiscal limitations, the American public has shown no sign of tiring of their national parks or desiring reductions in park opportunities. To the contrary, there is a demand for more services and accessibility to our public lands, especially near centers of population. So as we approach the second century of the National Park Service (NPS), how do we address these seemingly incongruent realities? A major part of the answer is that the NPS will be required to expand its current level and use of public/private partnerships. The national heritage area model is a public/private partnership model which has over-­‐time been proven to work. 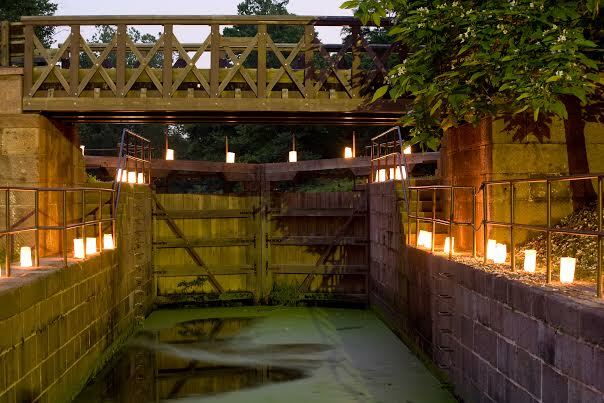 Through my work as the former Executive Director of the Delaware & Lehigh National Heritage Area, I developed a keen interest in this country’s early industrial transportation system of canals. So when visiting the District of Columbia, I often will stay in the Georgetown neighborhood. 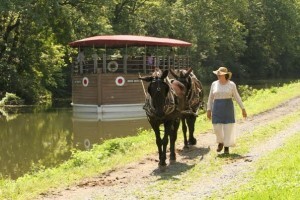 This affords me the opportunity in the evening to enjoy the Chesapeake and Ohio Canal National Historic Park (C&O). The NPS does an exceptional job of preserving this tremendous asset with a modest operation and maintenance budget of approximately $9.3 million. However, as impressed as I am by the care and interpretation of the C&O, it is still difficult for people to truly understand how important canals were in the 19th century to the growth and development of this nation. Early canals connected many of the inland towns to the major maritime cities. They were financed by both private capital and public funds. Often the engineers were presented with unprecedented challenges of geography in the design and construction. Construction required a massive labor force, which was not readily available. Canals provided waterpower for mills; canals moved massive amounts coal and other raw materials to manufacturers of industrial products; canals transported the manufactured products to the consumers, improving commerce and trade; canals became the means to grow and expand our young nation. 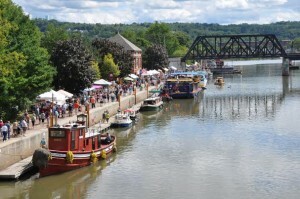 Canals linked the eastern markets to the Great Lakes and then on to the Ohio and Mississippi River Valleys. There are seven NHAs whose stories emanate from canals – Augusta Canal, Blackstone River Valley, Delaware & Lehigh, Erie Canalway, Illinois & Michigan, Ohio and Erie Canalway, and Schuylkill River. Each of these NHAs is working in partnership with the NPS, state, and local agencies to preserve and tell this nationally significant story. Collectively, the seven NHAs received approximately $3.7 million in NPS Heritage Partnership funding in fiscal year 2014. Granted, one cannot accurately compare the cost of managing any given mile of a historic canal to another, for the resources truly differ. However, one can easily see that local ownership and multiple partners sharing the management responsibility can pay real dividends to the NPS as they face the challenge of preserving and sharing the stories of transportation, industrial growth, capital, immigration, labor, settlement, and more. However, it is equally important to note that because of the entrepreneurial nature of most NHAs the local partners also reap the benefits of this partnership by creating and supporting local jobs through investments in their community and heritage tourism. Regrettably many of this nation’s historic canals have been lost to time and neglect. These seven systems were also vulnerable, but because of the partnership work of these NHAs much has been saved for future generations to learn from and enjoy. These seven NHA partnerships are conserving approximately 1,000 miles of historic canal corridors and in the process saving miles of watered canal. 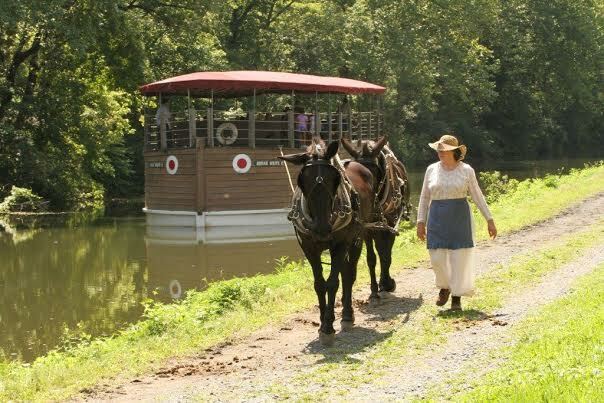 Today these historic canals and towpaths are becoming tomorrow’s network of trails and blue ways connecting population centers to parks and historical sites of national, state, and local importance. The waterfront towns along the way are experiencing re-­‐purposed buildings and preserved neighborhoods. This is all accomplished by leveraging the collective resources and the partners’ commitment to preserving their shared heritage and sense of place. There are many lessons to be learned about partnership management by studying the successes of the NHA program as it has evolved over the past three decades. At the request of Congress, the NPS commissioned a series of evaluations of nine of the longstanding NHAs. Westat, an external evaluation firm, undertook the work. The evaluations have been completed and the findings verify the accomplishments of the nine NHA partnerships to address the purpose defined in the legislative language and the original designation; the NHAs ability to leverage additional funds to meet program and infrastructure needs 4–1 (local to federal) in most cases; the NHAs showed sound management and fiscal responsibility; the NHAs relied on public participation and created partnerships to carry out the work; the partners preserved nationally significant resources; and the NPS gained an invaluable partner. Allen Saches serves as the President of the Alliance of National Heritage Areas and was formerly the Executive Director of the Delaware & Lehigh National Heritage Corridor. Prior to that position he had almost 30 years of service with the Pennsylvania Department of Conservation and Natural Resources and Department of Community Affairs.